Simultaneously the most thoughtful and disgusting gift a girl could ever get. Each of these 50 freshwater oysters is guaranteed to have a real, 6mm to 7mm round akoya pearl inside. 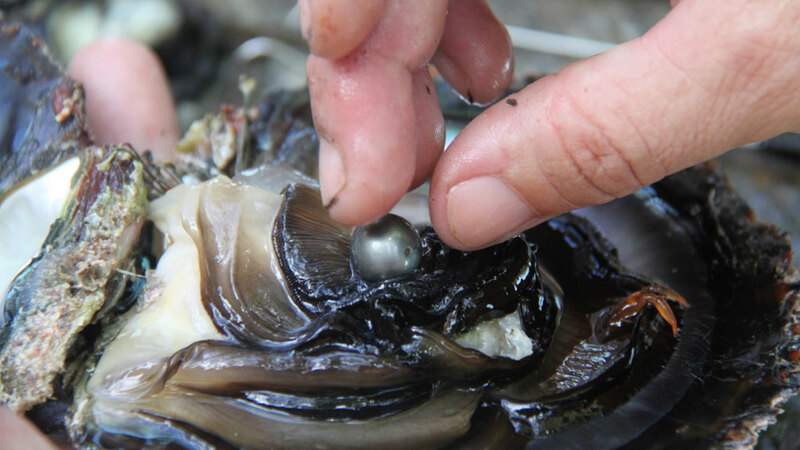 But here's the catch: uh, the pearls are inside. 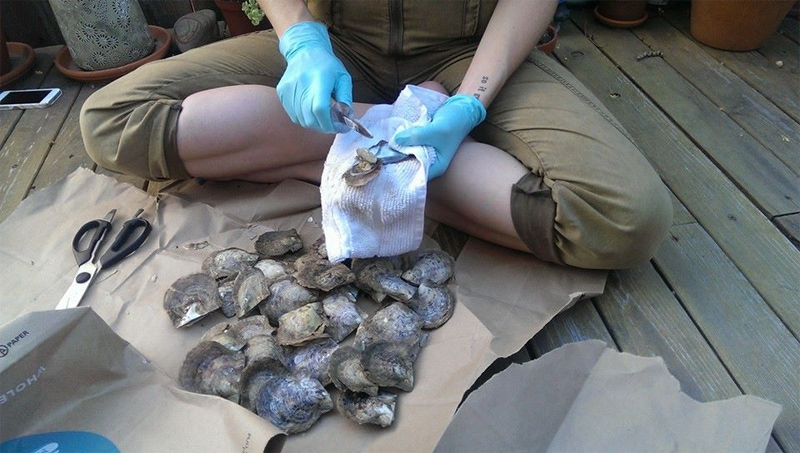 So the lucky lady in receipt of the lot has to haul out some elbow grease and control her gag reflex shucking all 50 oysters, and then digging through their gooey, gelatinous muscles and stinky, sandy grit to uncover the loot. I can't even imagine what that's going to do to her nails. Ladies, enjoy the pearls. Gentlemen, enjoy the show. No, dudes, don't. Don't even think about helping them. Remember, no victory is sweeter than the one that's worked for, and no gift greater than the one that's earned. A few cuts on the hands, some oyster spurt in the eye, and cuticles that smell like rotting seafood for the next two weeks is a small price for her to pay for the dreamy sheen of nature's living gemstone. 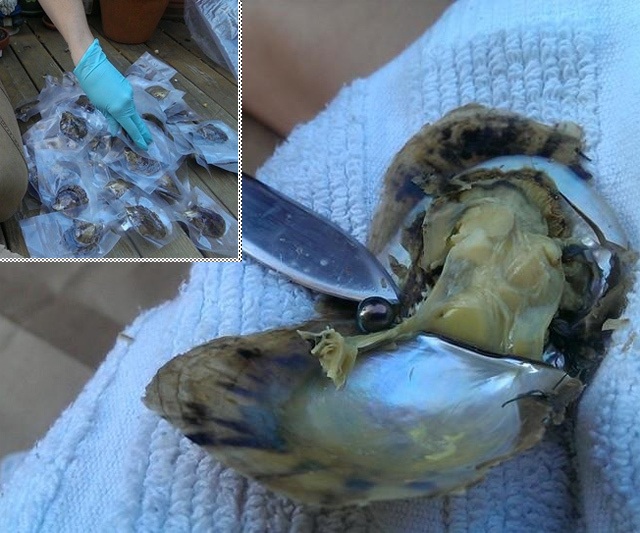 Pearl-laden oysters arrive vacuum-packed and liquid-free in a single carton. 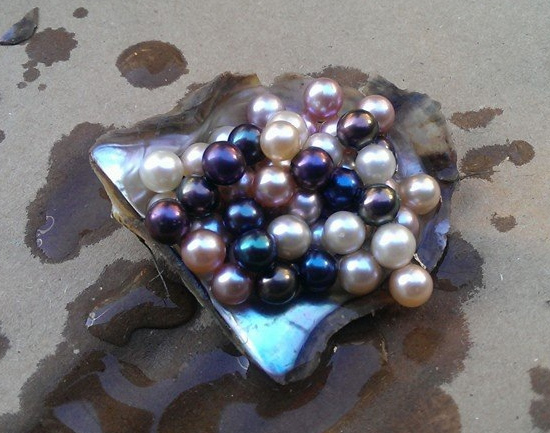 Pearl prizes are a mix of colors--white, pink, purple, and black--which supposedly symbolize health, success, wealth, and love.